No mixing oil and gas ! 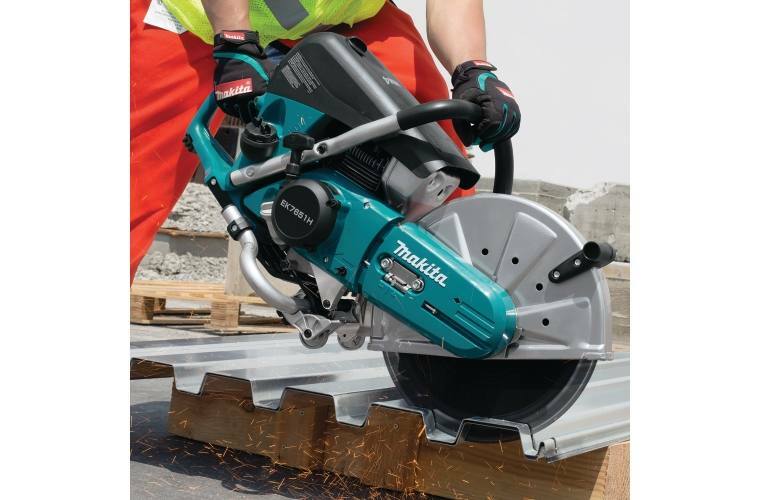 The 14" MM4® 4-Stroke Power Cutter (model EK7651H) is the world's first 4-stroke power cutter. 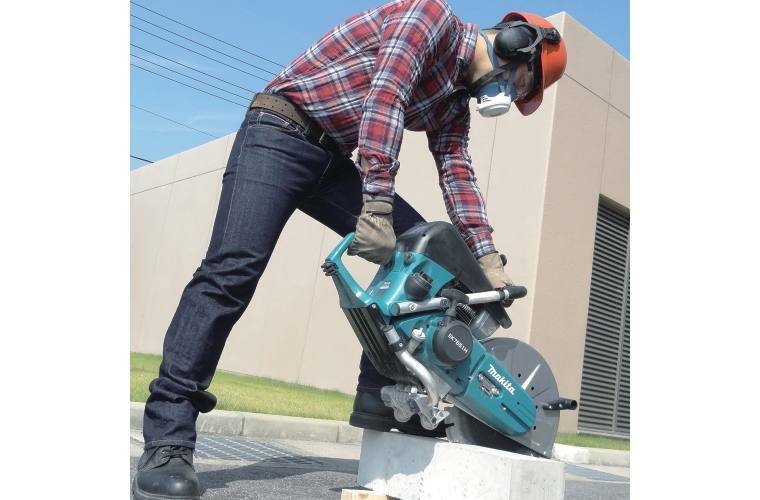 The EK7651H is another innovation in Makita’s expanding line-up of concrete solutions. 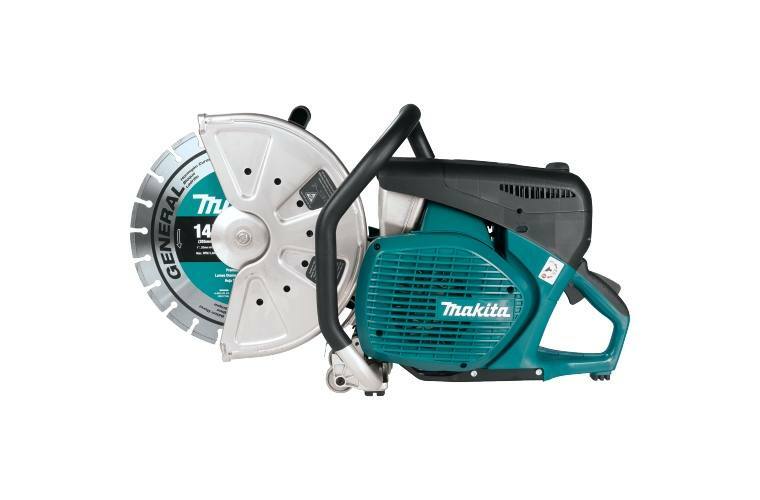 The 4-stroke EK7651H delivers several advantages over 2-stroke. 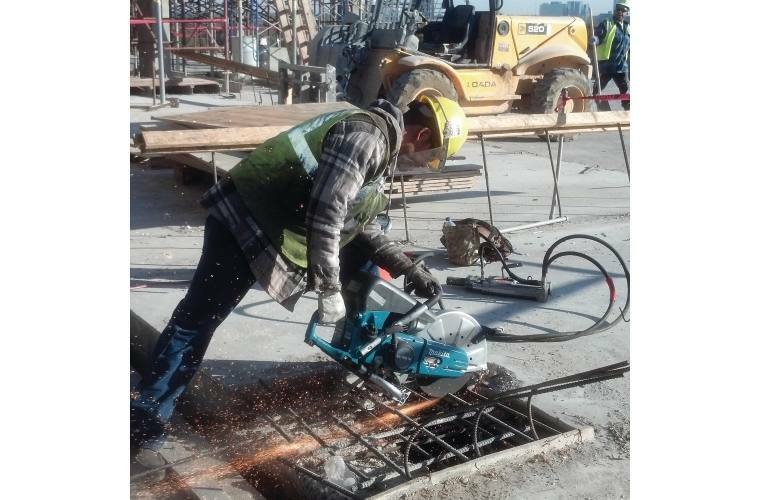 No oil mixing is required, so contractors get simplified operation and no more engine failure due to improper mix. 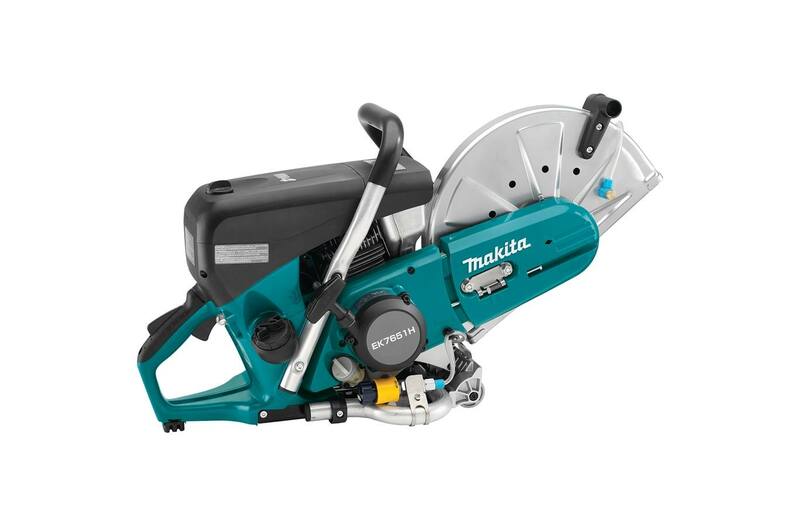 The MM4® 4-stroke engine eliminates the need for separate mixed oil/fuel can. For easier starts, the automatic engine decompression valve is engineered into the cam gear to reduce pull-start force by 40%. 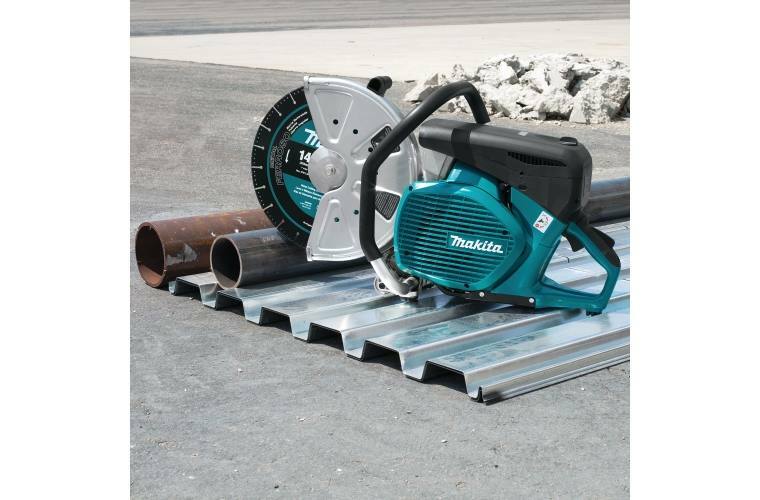 The EK7651H also has lower noise at 92.7dB(A), smoother idle for continuous operation, and lower fuel consumption at only .45 gallons per hour. Additional advantages include a three-ring piston engineered for improved commercial engine durability, and reduced exhaust and intake carbon build-up for longer cylinder life. 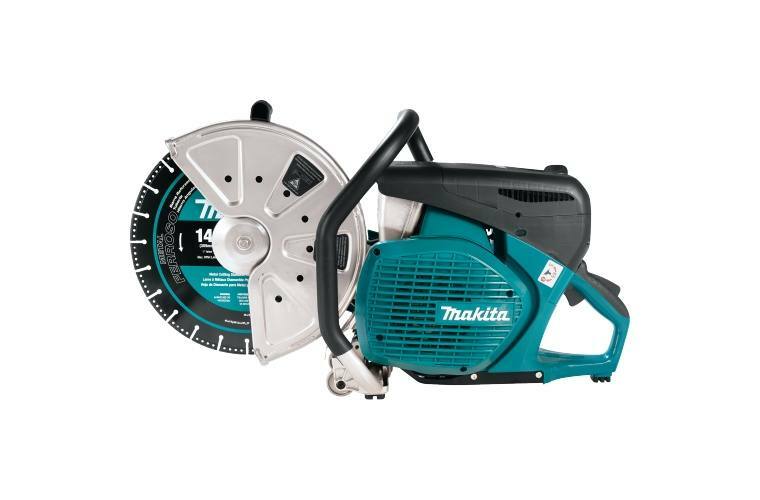 In addition, the EK7651H has a five-stage foam-paper-nylon filtration system with Advance Direction Air Flow to provide cleaner air for improved engine durability. 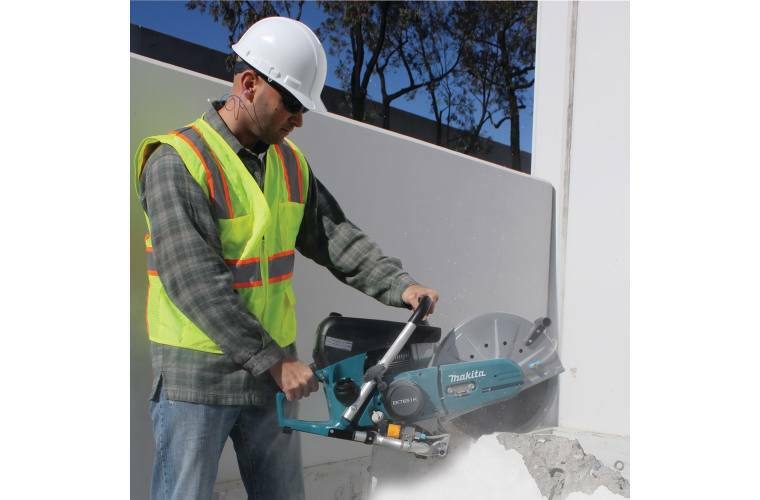 The power and performance features of the EK7651H make it a best-in-class 14" power cutter for a range of professional concrete cutting applications and is ideal for landscapers, road construction crews, railroad crews, rescue crews, general steel contractors, masons, and welders. Fuel Tank Capacity: 37 oz.